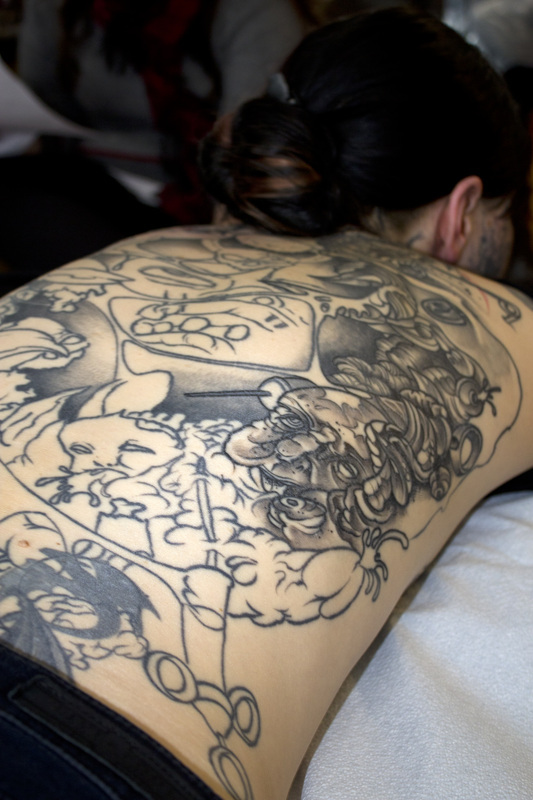 Tucked away on 17th Avenue, just barely visible from the streets of downtown Calgary, is Bushido Tattoo. As you walk up the stairs, this quaint tattoo shop looks more like a trendy art studio than anything else. There’s a giant aquarium housing exotic fish and the walls are splashed with bold colours like orange and yellow with several pieces of art beautifully occupying each wall. Past the reception room, the constant buzz of several tattoo machines is audible against the sound of rock music. At the far back corner sits tattoo artist, Brandoh Boyko, hunched over tattoo enthusiast Countess Coitus Carcass as he works on completing her back piece. Boyko has been a tattoo artist for seven years and has seen all kinds of people who want all kinds of tattoos; however, Carcass is one of the most distinctive people he’s had the chance to work on. “I couldn’t pass up the opportunity to work on someone as unique as her,” he says as he skillfully runs the needle along her upper shoulder. Although some would consider Carcass a tattoo extremist with her full-body gore, Boyko says most people are a lot more cautious about where they get tattoos as well as their size — particularly out of concern for getting or keeping their jobs. Boyko credits this cautiousness about tattoos to the babyboomers running companies who still think tattoos give off a bad image, not only to that person, but to the company they work for. However, Boyko says that just getting the job might not be enough for people to be comfortable enough to show off their tattoos. DOES HAVING A TATTOO MAKE YOU LESS QUALIFIED? “They shouldn’t be turning people down for having tattoos,” he says adding that employers might be pleasantly surprised to find out that there is an intelligent person behind the tattoos. It’s easy to see why Boyko says this. While speaking with him over the phone, it was easy to envision a well-spoken, highly intelligent, middle-aged man — perhaps wearing a suit and tie, sipping expensive scotch in his living room. The more difficult thing to imagine is the truth: a 28-year-old man in a florescent, flat-brimmed hat and covered in tattoos that reach up to the top of his neck. While Boyko says he has heard a few horror stories about tattoos in the workforce, many company spokespersons say having a tattoo wouldn’t deter someone from getting hired. Richard Bartrem is the vice president of communications at WestJet and estimates that about 30 per cent of all employees at WestJet have tattoos. Bartrem adds that he knows how widely prevalent tattoos have become and says he doesn’t believe they are seen as unacceptable in the business world, especially at WestJet. A woman from Kahane Law Office, who would not provide her name, also said that their company is accepting of employees with tattoos. She says that they do not pass judgment and people there are hired based on their credentials, not on their appearances. It seems that everywhere you go, you are bound to see someone with a tattoo or know someone who has a tattoo. Boyko says he hates to use the word “fad,” but hesitantly describes it as so. He says he’s tattooed people of all ages and all ethnicities and that is seems like these days, everyone wants a tattoo. Boyko says tattoos become progressively popular as more and more tattoo shops and artists emerge, adding that not too long ago, tattoo artists were hard to come by. “People who collect tattoos usually get smaller pieces and are a little bit intimidated by the largest stuff,” he says. “But Carcass here, she’s pretty enthusiastic,” he says as he pauses from the repetitive motion of the needle puncturing her skin to acknowledge her pain level. “How ya’ doing Countess?” he says with a smile. “Oh, I’m alright,” she mumbles through gritted teeth. With so many tattoos shops and artists, it would seem as if tattoos are becoming consumerized, which Boyko says is better for both artists and clients. With the increasing popularity of tattoos, Boyko predicts that there will be a gradual change in how our western culture views tattoos. He says that hopefully this idea will disappear as the older generation retires out of the workforce. If this stigma of tattoos continues, Boyko says that soon, employers won’t be able to hire anyone because most people will have tattoos or the employers will even have tattoos themselves. “Does the employer hire someone who’s actually qualified for the job or do they choose not to hire him because he’s got tattoos?” he asks, adding that he thinks employers will choose the latter. 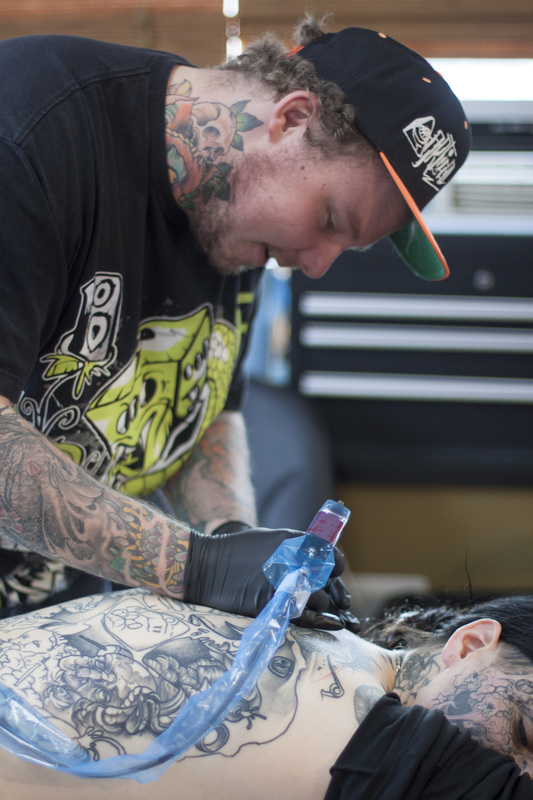 Despite their growing PREVALENCE, some feel that having a neck, facial or obvious tattoo will put them at the bottom of the resume pile for their next job. others say the tables have turned, and being tattooed is the new majority. The 2013 Calgary Tattoo and Arts Festival played host to some of Calgary's best tattoo establishments. Though one might expect tattoo shop after tattoo shop to grace the floor, it was really the patrons who dominated the show. The festival was packed with bikers, grandparents, artists and your typical girl-next-door, showing that tattoo culture is permeating through all demographics. Though Boyko tattoos more people a year than he can count, he says he says he's seeing trend emerge the more people he sees. 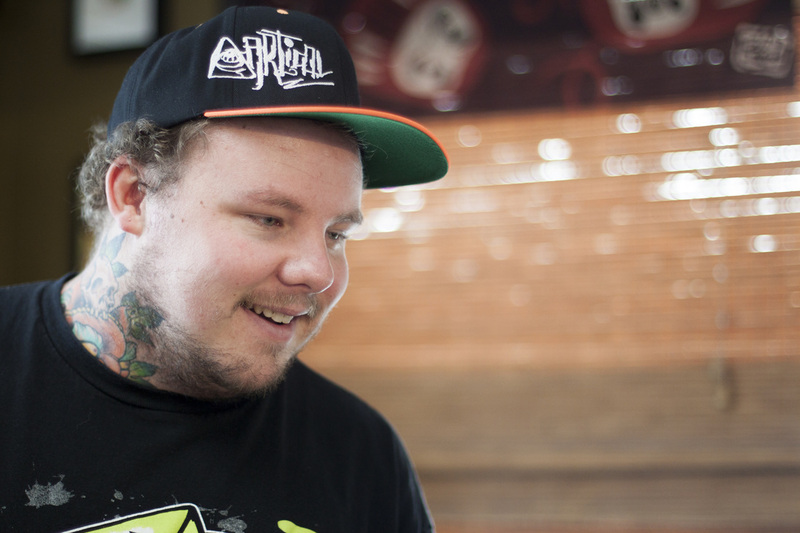 He says the most popular places to get a tattoo is on the wrist, foot or along the ribcage. Brandoh Boyko, one of Countess Coitus Carcass's many tattoo artists, has been tattooing for seven years. He says he's seen it all, but only once in a lifetime does a tattoo enthusiast like Carcass come along. He says he couldn't pass up the opportunity to tattoo her epic back piece. By age: Who in calgary has tattoos? After 63 respondents answered our comprehensive tattoo survey, it's obvious where the tattoo trend is heading. Already, more than 50 per cent of men and women under 36 have at least one tattoo. Boyko's prediction that tattoos are gradually becoming more and more common is looking more true than ever. Despite being covered in tattoos, Carcass says it's still nerve-racking and painful to get tattoos done. This is why she says she likes doing them on herself, in the comfort of her own home.